As college counselors, we commit to delivering our services with a high standard of college counseling ethics. Think about it: You are trusting us with your child’s future. You need an advisor with integrity to make sure that everything is done properly. That’s why college counseling ethics are so important. Few people think of college counseling ethics when hiring a college counselor…but they should. We subscribe to, and abide by, the National Association for College Admission Counseling’s (NACAC) NACAC Statement of Principles of Good Practice. Their values – and our values – are professionalism, collaboration, trust, education, fairness and equity, and social responsibility. These are the guiding principles we follow. Each of our college counselors is a member of at least two national college admissions organizations. We take our professional memberships very seriously, attending conferences, webinars and keeping up-to-date on college admissions information. We think these Ethical Guideposts for Independent Educational Consultants, by Independent Educational Consultants Association (IECA) Executive Director Mark Sklarow, are important as well, and we abide by them. Unfortunately, some college counselors make promises that they can’t keep. For example, some unethical counselors will actually fill out your student’s college applications for a fee. We’ll help your student fill out college applications, but we won’t ever fill them out ourselves because it’s your student applying to college, not us. We’ll never write your student’s college essays for them, and no ethical college counselor ever would. Some college counselors may guarantee that a student will get into a particular school. That’s unethical and dishonest. 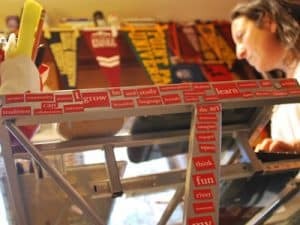 There are many factors involved in college admissions, and we work hard with students to increase their chance of success. But ultimately it’s up to each college to decide who they admit. For any college counselor to promise admission to a particular school only exposes the student to possible disappointment. And believe it or not, some people who call themselves “college planners” are simply trying to sell life insurance policies or annuities. An ethical college counselor would never do that. From our perspective, it’s not about helping a student get into a particular college. Instead, our goal is to help students find and get into the right college for them. It’s that simple. We take college admissions seriously. Our counselors have all trained and worked in the academic world for years. When you want to find a college counselor – whether you work with one of our Magellan College Counselors, or someone else – we recommend you hire an qualified and ethical college counselor. Get started on your future, contact Magellan College Counseling today.